What's up? Love this short but sweet blog. Plan on using darkarts for mastering in the near future. I have a question: I seem to struggle with mixdowns the most (part of it is the monitoring environment, I think). The more I read up on DnB production the more I see that alot has to do with the mixdown. Do you have any tips on mixdowns, how to make them better and what you see in your day to day work that should be corrected before it gets to you? as far as tips go, stay tuned to the blog as I’m posting info as I think of it. currently, the blog posts deal with the most common issues I see when tracks come in for mastering. I plan to go deeper and more advanced as time goes on. The tips you read on the internet can vary wildly. Some people present advice, some people present rules. I’m here to present advice. There are no rules to music, in fact breaking rules usually results in the best music. This blog entry has to do with VIBE. Technically ‘correct’ mixdowns without it are easily beat out by rough mixdowns that are dripping with it. This leads me to the topic at hand, mixbuss compression. Many mastering engineers will tell you to turn off anything on your mixbuss (compression, eq, etc) because they think they can do it better. The reality of this choice is that it’s the safest option because over-compressed mixes are difficult to make sound good. NOTE: If you don’t understand how compression works yet or if you don’t trust your monitoring or ears, it is best to send a premaster with no compression on the mixbuss. 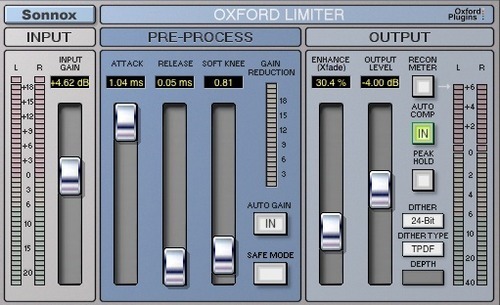 A mixdown (premaster) should sound like a good mixdown: gelled and balanced. If you can pull that off with nothing on the mixbuss, then you’re in great shape. But people mix in different ways…some like to mix into compression as they end up doing less on the individual tracks. It really does come down to preference and mixing style. Let’s go back in time to the days where records were mixed on a large format SSL console. A big part of that sound was mixing into the onboard buss compressor. When that was recorded to tape (even more gel and saturation), it sounded finished but needed mastering for some eq adjustments and to be made louder. Take away the buss compression and it most likely would’ve sounded unfinished when played back through the console. 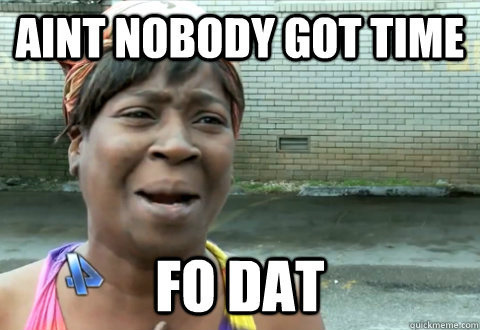 No one wants to print a mix that sounds unfinished, especially when it’s going to tape in an expensive studio session! How does that apply to today’s ITB world? It’s the same principle but different tools. 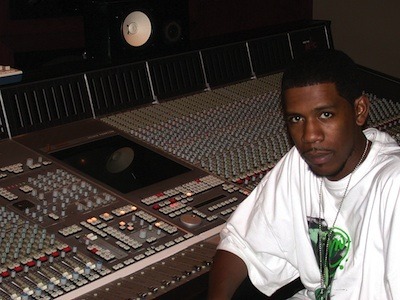 The mixdown is the mixer’s vision. If you worked tirelessly on that mix with a compressor or limiter on the mix and liked that sound, why would you take it off? Is it because you expect the mastering engineer has better tools to do the same thing? Quite possibly. 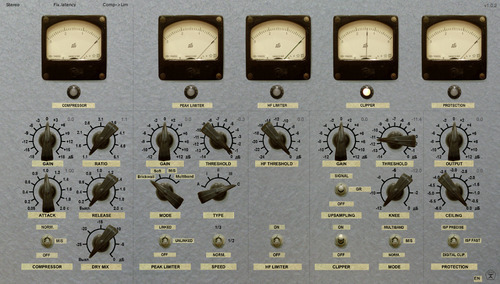 Hardware compressors truly do sound a lot more exciting than their software counterparts. An experienced mastering engineer also most likely has the best tools and settings (and expensive gear) to get the best sounding final product. However, the masterer is not a mind reader. He’s going to have his own take on how it should sound. The closer you can get it at the mixing stage the better imho. Try rethinking what the limiter on the mixbuss is there for. To make it louder? To bring it up to 0dbfs? That’s the mastering role. When mixing, think of it as being there for gel and vibe and maybe to get a good pump going instead. A Drum & Bass producer friend of mine who does some of the best mixdowns in the game likes to mix into this limiter as he works. It gives him the attitude, gel, and pump he needs to vibe out and finish the tune. If he took it off it wouldn’t sound finished and he’d probably mix it to death. As you can see, he’s using it as his final limiter (output level 0, 16bit dither, Safe Mode), which he normally would remove before it goes to mastering. So what if the settings were changed to this, so as to get the vibe it provides but not being used to brick wall? It’s most likely doing about 1-3 db’s of compression in both instances but this one is not brickwalling and the output ceiling is lowered to allow level matched a/b'ing against the unprocessed mix with the bypass button. The point of that is so you can make sure that it’s doing more good than harm! You’re also allowing headroom for mastering. edit: according to the manual - 'Safe Mode is provided which uses the enhance processing to permanently control peak levels. 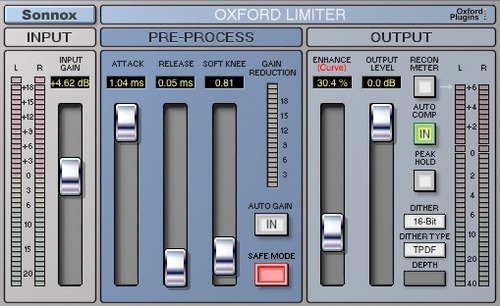 In this mode the Enhance control varies the perceived loudness boost of the programme by modifying the processing law.’ so, turning Safe mode off changes the function of the enhance slider. TLDR: use your ears and experiment! When it comes to compression on the mixbuss, there are so many different flavors and options. This is going to be less aggressive than using a limiter but still is, erm, 'glue-ing’ the mix a bit. Even with a long attack, the mix can sound more together and finished while still retaining the beauty of the transients than can be dealt with properly at the mastering stage. Try experimenting with different ratios and attack and release times but longer attack and shorter release is the safer, more open sounding route. If you’re going to be mixing into a compressor, it’s usually best to start with it engaged from the very beginning. That way, no surprises later. Keep an eye on it as well…if you’re compressing more than a couple db, it’s probably going to sound over-compressed which is usually not good. The needle barely moving might be all it needs! For bass-heavy music, use the HP sidechain filter (see above) to let the sub through without triggering the compression. Anywhere from 75hz to 150hz is a good place to start. I should note that i’m not advocating the use of compression on the mixbuss. I’m pointing out that the mix should sound pretty together when it shows up for mastering. If you can make that happen before it hits the mixbuss by processing individual tracks or stems, that’s great! It’ll probably sound more open than the 2-buss compressed mix. Above all else, try not to get hung up on the technical aspects of mixing. My stance is that good mixes have two things: VIBE and BALANCE. Proper mastering can sort out a lot of problems and add alot of vibe but great masters truly are the results of a great mix. Transients are the life of the music, treat them with care and don’t destroy them, finesse them. The last blog entry dealt with how to knock down peaks to allow for a loud distortion-free mixdown in mastering. The question is…how do we know when to do this or how much the peaks should be reduced? 1. Open your mix session and place Sonalksis Free G (or any suitable gain plugin) on the master fader. 2. Push the gain up until the mix sounds distorted. 3. Back down a bit to where it sounds clean but still loud and driven. 4. Go to the beginning of the tune and listen all the way through carefully. You should be able to more easily pick out sounds that are peaking out and causing distortion or sounding bad in general. At this point you have many options to deal with it and the more experienced you are at mixing, the easier it will be to know what the best tool is. In the last tutorial I mentioned soft clipping. That one is great on percussive elements but not on everything. Every sound is different, you really do have to experiment and use your ears above all. Many times it’s an eq issue. Are there frequencies in the sound that are eating up headroom but not contributing anything musically? Cut them. Proper eq'ing is the path to greatness! • Soft Clipping: Softer version of hard clipping. More analog-ish. • Limiting: Think soft clipping but even softer. If you use something like FabFilter Pro-L with a long attack…that’s clipping. if you speed up the attack, that’s limiting. Limiting still can introduce distortion but it’s trying not to. For this application you want it to get in and out quickly and not affect anything but the transient peak. So, fast attack and fast release. • Compression: Compression is the gentlest approach but probably not a solution at all. Limiting is compression at a very high ratio, compression has variable lower ratios. If you use this to tame a peak, it will affect the rest of the sound as well. Obviously a very usable tool but not the best one for transparently removing a peak most of the time. My personal favorite has always been driving stems into analog gear for saturation but that’s not really an option for most people…or is it? the one that says span at the bottom??? the one showing the 1k sin wave???? ah sorry I was confused. that one is Voxengo Span. what meter are you using in " use plug-ins that work with you not against you"
An important element of getting a clean, loud and dynamic master is proper peak control. When you don’t control your peaks well in the mix, you’re risking alot of destructive processing and distortion in the mastering stage. In the days of analog mixing, this wasn’t an issue due to how analog circuits and tape behaved. Signals were inputted hot into the console (and tape recorder) for a good signal to noise ratio and the peaks were rounded off naturally thanks to analog saturation. In digital, what you have is what you get. You’ve got to watch your peaks and deal with them accordingly. Luckily, technology has come a long way and there are ways to do it transparently. Here’s an example of a sample that has spiky peaks that don’t contribute anything musically to the track and presented issues in mastering. When pushing the final volume to hot levels comparable to other tracks in its genre, the synth was distorting in the quiet passages of the tune. As you can see, the spikes are gone and the rest remains relatively unchanged. When listening to the results, it sounds the same and provided another 4db’s of headroom. If you can gain headroom without ruining the sound, that’s an epic win! Place the threshold to where you want to remove the peak and experiment with knee amounts, oversampling and modes til you’ve found the sweet spot.